It has been one week since arriving back into Pacific Standard Time here in Reno, Nevada however, my body is still somewhere over the Pacific; shaking the adverse effects of “time travel” across the International Date Line must be exacerbated by the rigorous schedule we kept. I always look forward to these missions and know that my days will be long, body will ache and patience will be tested but there is nothing like being a part of something like this; it rewards with an incredible sense of pride and accomplishment. That said, I always look forward to coming home to my family, and friends. It provides me the “mental” activity (in sharing the stories of the mission) that allows me to fathom (pun intended) what we did during our 13 days aboard the Ad-Vantage in the Fijian Islands. We set out to accomplish a “Proof of Concept” (Goal #1) type of mission where our group of submarine operators, scientists and divers could perform a valuable and scientifically valid (Goal #2) research expedition aboard a “super yacht” type of vessel and her crew. We had to blend the recreational cultures of a crew specifically trained to offer a high level of service with that of the demanding requirements and task-loading of a commercial scientific endeavor. Well in three words, “we crushed it”! I could not be more elated with the successful result. Our two teams came together, communicated and accomplished 11 goal oriented working days out of 12; weather knocked us out on 23 of May, the only reason we batted 916! 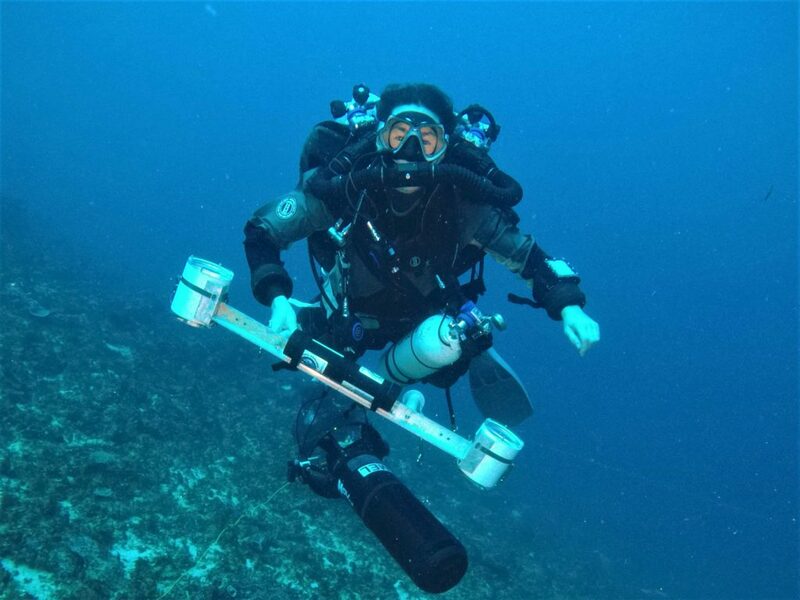 Goal #3 was to expand the Project Baseline Global Mission structure to other Global Underwater Explorers (GUE) teams like the group we collaborated with from TechDive NZ (New Zealand). This would allow Project Baseline to grow Globally and diversify its ability to deploy highly capable GUE teams in order to someday research more than 1.5% of the geographical definition of an impacted area; in this case, the Fijian Islands. Goal #4 do all this within a strict budget. A budget that was wholly funded by the owners of the Ad-Vantage. Conclusion? We accomplished every single goal beyond our expectations and the expectations of the others involved and we did this with less than 18 days available for planning from budget approval to mission departure. Great job EVERYONE, a team effort! It is not only accomplishing our goals nor simply the work that we did but also as important is the information and data that we gathered. 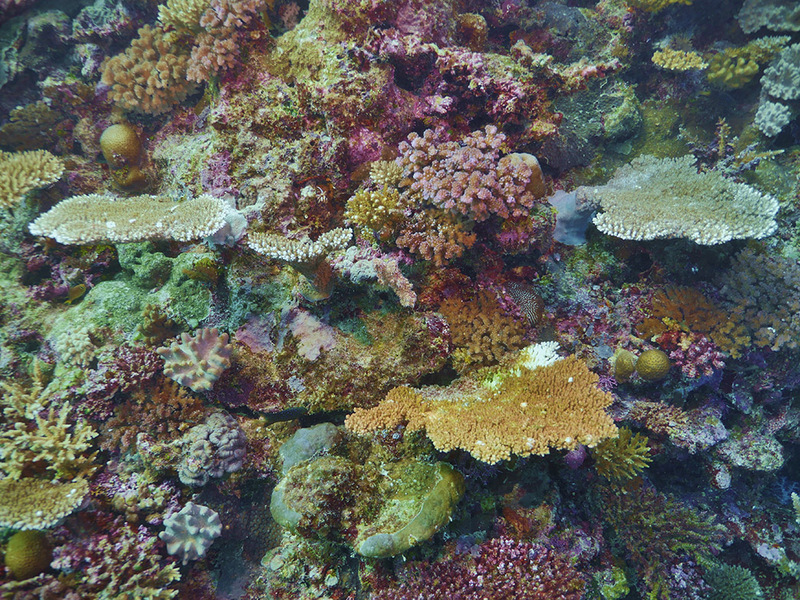 A reef wall on the Great Astrolabe Reef, 20m/65’. Heck, my blogs had to be at least a terabyte ?! 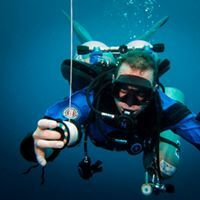 120 Scientific Video Transects – 60 Benthic & 60 Stereo Video Fish Transects at 15minutes per transect is 1800 minutes (30 hours) of scientifically significant and reproducible video. 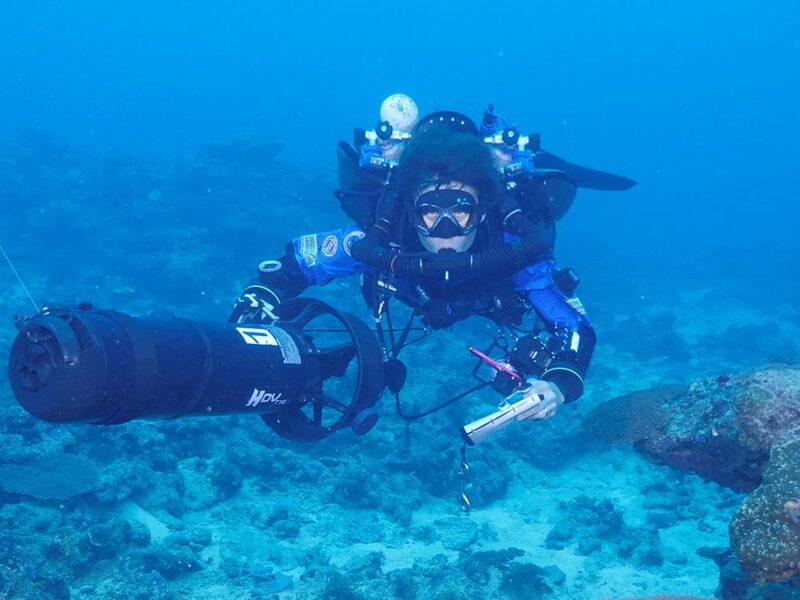 I am sure that I forgot something but you get the gist; this was not a vacation simply because it took place in Fiji; this was a working scientific research expedition; 6am to 8pm daily. 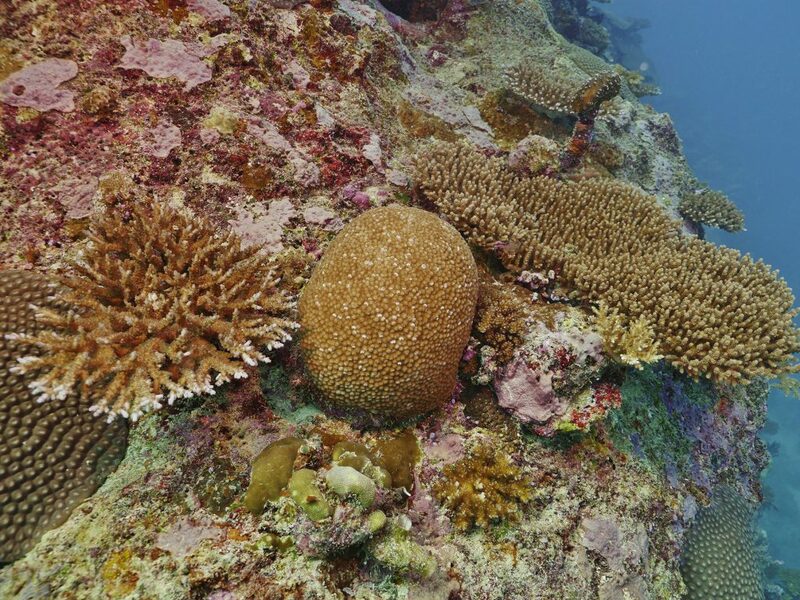 Fiji’s coral reefs are being somewhat negatively impacted and this baseline data is the only data, data placed in GUE’s Project Baseline’s Global Database, that will tell future scientific study’s whether the Fijian coral reef environments are improving. I am proud to have been a part of this work. 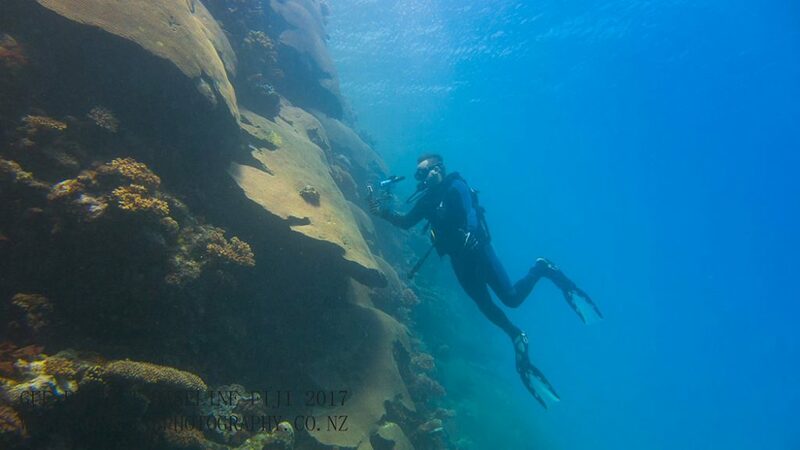 Brian Walker imaging massive corals in the 10-20m/33-65’ zone. 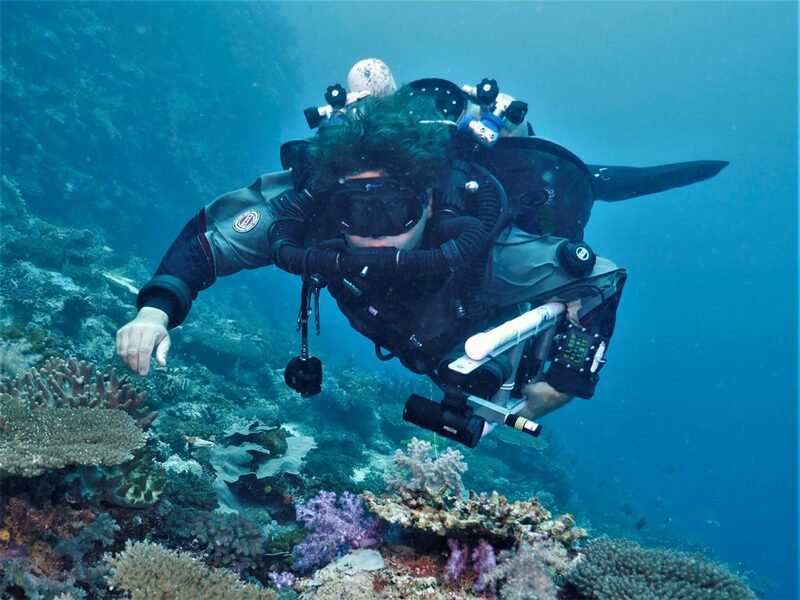 I would like to introduce you to the GUE Dive Team on-board. 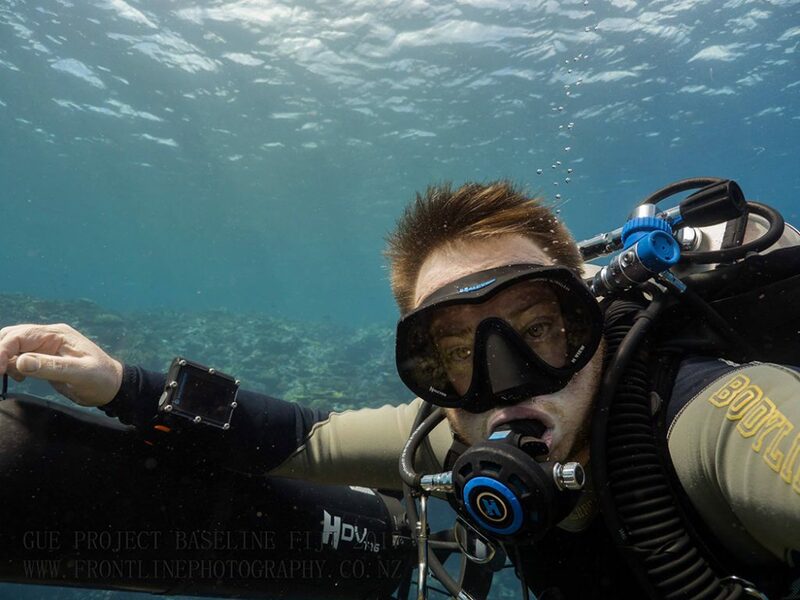 My friend now for the past 8 years and one who has motivated me with his passion for exploration and environment. A fun leader and at times a challenge to keep up with. Thanks Todd for the opportunity you have given me. An honor to have shared time under the South Pacific with this dedicated and organized lady. She spearheaded this mission and concept and at every stage put in the effort with a smile and kind word. Thanks Mel, you exceeded my every expectation. 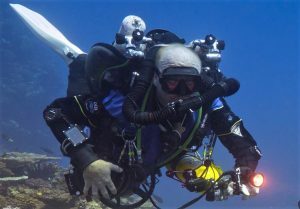 A skilled diver building NZ “tech” diving with a solid reputation for expedition diving. His calm, alert manner and a thorough understanding of the sport, gave me great confidence. It was my pleasure 10 GREAT dives with him. 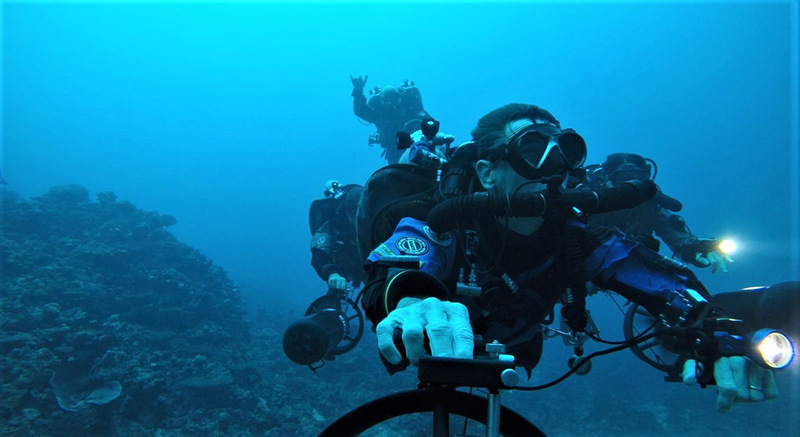 He made me laugh every day, never skipped a beat and demonstrated the most organized and vigilant awareness of all diving activities happening during the mission. A comfort knowing he was above watching out. Allowed me a contentment not usually present on missions like this. Great job my friend…Thank You! A “Gentleman” and solid professional. Always there to help me with the cameras – his patience allowed me to shine behind the shutter. Instrumental in my management of multiple camera set-ups. I look forward to more diving with this first-class team mate. Here’s to Dive #1! Thank you to GUE’s Project Baseline Data Manager, Kristie Connelly for her tireless efforts in managing all the data that we tossed at her daily and to Amanda White, GUE’s Director of Communications; she got the posts online, the reports out, created the videos and worked flawlessly in an environment where the technology does not always cooperate. 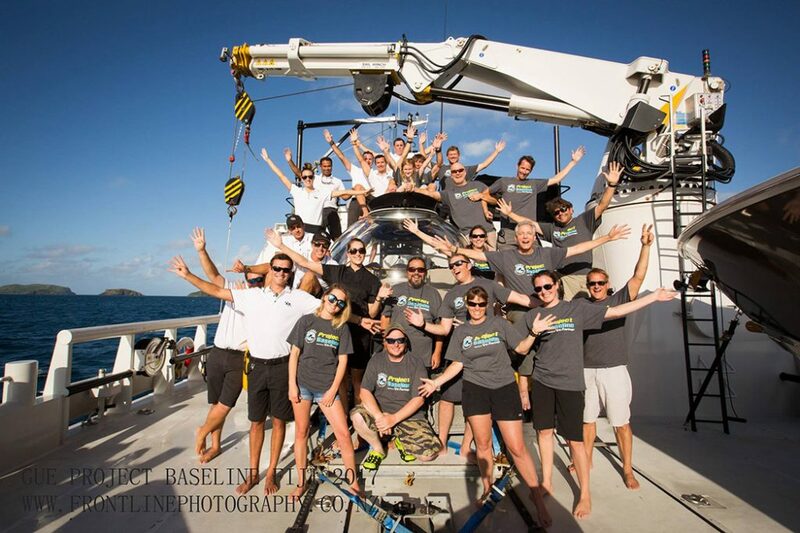 The two crews: Ad-Vantage and Project Baseline – just great people! Two teams from entirely different backgrounds coming together collectively to accomplish every mission goal set forth. 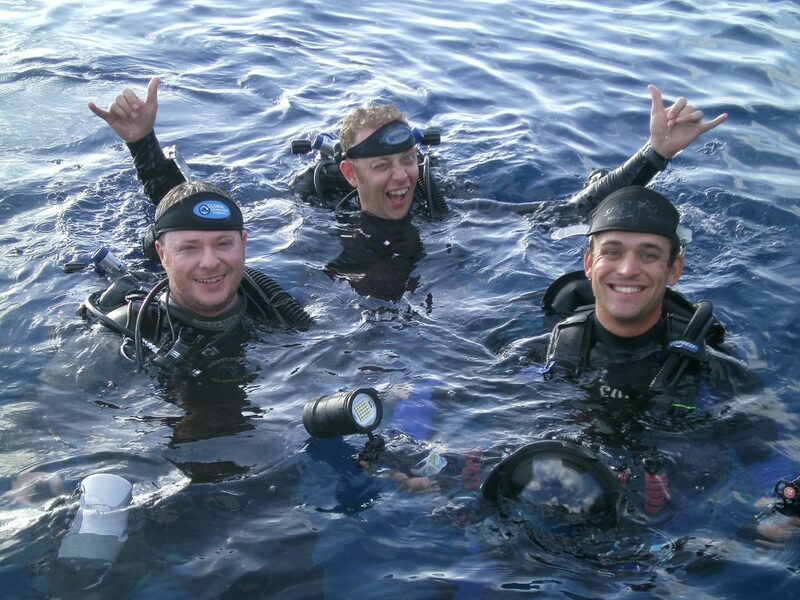 Rob Wilson, Russel Hughes and Ben Brodie (Ad-Vantage Dive Instructor) getting ready for a descent. Hanging Loose scootering with the team…who is that guy!